Pepper Spray :: Pepper Shot Brand :: Free Gift! HomePepper SprayPepper Shot BrandFree Gift! Do not Add to Cart from this page! If your order is $50 or higher, we will send you a free gift with your purchase. Usually it will be a pepper spray, however, in some cases (such as a state that doesn't allow shipping OC products), we will substitute a similar valued item in place of it. All qualifying orders will receive this gift at no charge. Simply place an order with us today and one of these (or a similar item) will be shipped to you. 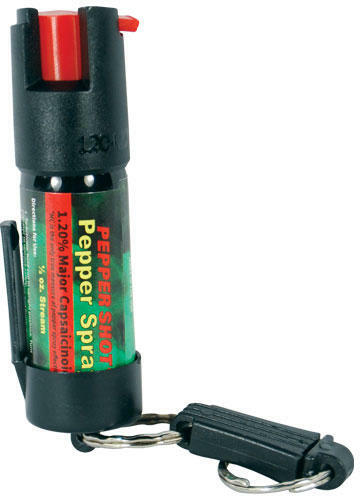 * Some states restrict us from shipping pepper spray. If your order is shipping to one of those states, we will replace the pepper spray with a gift of similar value. If you do not want us to ship this to you, you can tell us not to send you one in the comments when you check out.